Dodson & Pope CPA PLLC is a firm with two locations to serve The Woodlands, Spring and Conroe markets. Our clients are not only located in these areas, but are spread out across the United States and Internationally. The firm's primary focus revolves around individual income tax services, business tax services, and QuickBooks services, but we also help small business owners with startups and operational accounting consulting and/or setup and a myriad of other finance and accounting related services. Our number one goal is to help businesses and individuals prosper! 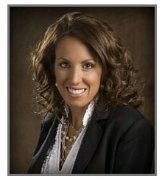 Shelli Dodson has 20 years experience in both CPA firms and public companies. During her time in public accounting, Shelli worked in tax, auditing, write up and accounting software consulting. While in industry, she was the Chief Financial Officer for a privately owned chain of healthcare companies. She was responsible for the day to day financial affairs of the company and for Federal and State tax compliance as well as the Medicare and Medicaid annually required reports. Shelli co-founded the firm to help taxpayers mitigate their personal and business tax exposure. She enjoys helping clients form and execute an overall tax plan to serve them today and in the future. She also finds fulfillment in helping clients by acting as a liaison between them and the IRS in audits. With her expertise in tax and QuickBooks, Shelli is often the starting point for small business owners who want to understand the overall process of accounting and record keeping. Shelli is a graduate of Sam Houston State University. She is an active CPA in Texas, a QuickBooks Certified ProAdvisor, a member of the AICPA and a member of the Texas Society of CPAs. Shelli's personal interest include enjoying little league games with her children and spending time in the Hill Country. Shannon Pope has over 20 years experience in both CPA Firms and public companies. 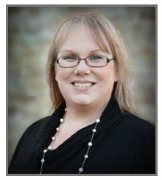 During her time in public accounting, Shannon worked in tax, auditing, write up and accounting software consulting. While in industry, she has been responsible for federal, state, and international tax compliance for publicly traded companies; as well as controllerships, financial management, and operational process improvements. Shannon co-founded the firm to concentrate on what she perceives to be a neglected audience: individual and small business tax services. She loves helping companies brainstorm solutions to their most pressing needs and to assemble the team and tools which can best move that company forward. Shannon also knows a lot about the personal financial management and wants to be individual's and families' first call for questions relating to their major life events. Shannon is a graduate from the University of Michigan and holds an active CPA license in Texas (previously she was an Arizona CPA) . She has been a Quickbooks ProAdvisor and a member of the AICPA, Texas Society of CPAs (Houston Chapter), Texas Business Traveler's Association, a Founder of Women and Wine on Wednesdays (The Woodlands Chapter) which is a networking group supporting women in business, and Managing Director of Texas Young Professionals (TYP) in The Woodlands. She currently sits on the Board of The Woodlands Swim Team ("TWST") as Treasurer.